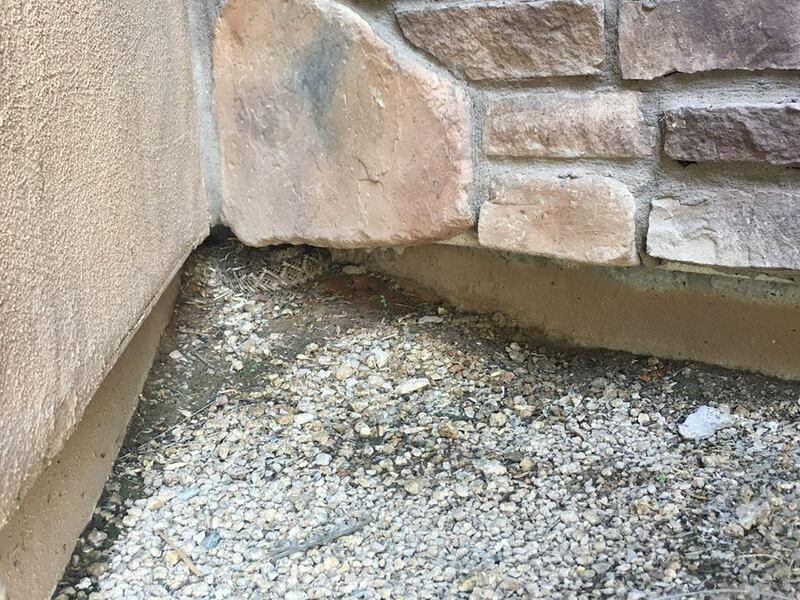 A local badass named Mike Davis saw a post of a rattlesnake on his Facebook feed Tuesday morning, and sprung into action. “Looks like a hatband and a pare(sic) of boots”, commented Davis on the photograph post of a wild Blacktailed Rattlesnake. 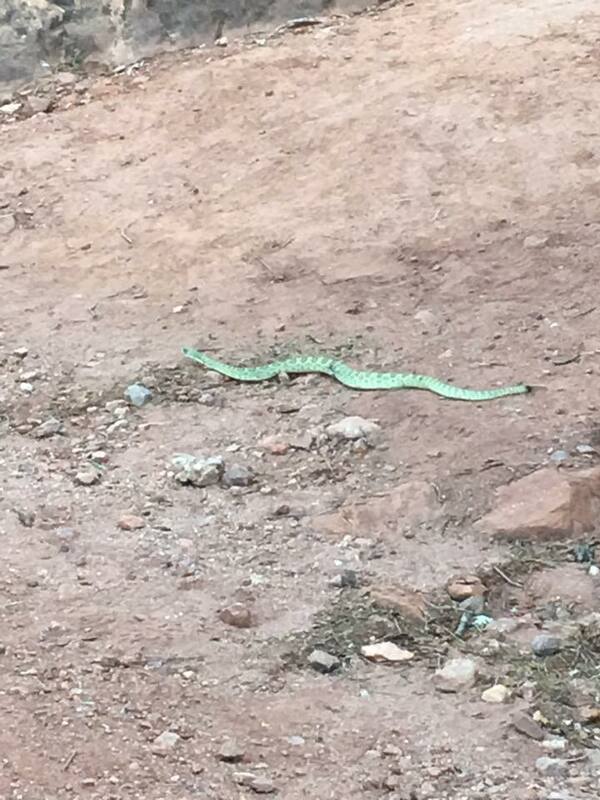 The rattlesnake was photographed by a local hiker and posted to a popular Facebook group. Dozens of likes and comments poured in within minutes, highlighting the beautiful coloration of the snake and how gracefully it blends in with its environment. Davis, who’s only hat is a baseball hat found in the Salt River during a tubing session and does not benefit from a hatband, noticed something disturbing. Though admitting that he’s never made boots, or even owns any, Davis is confident that his appeal to the hatband community will cause his personal brand to skyrocket in the minds of his community. “I’m sure I’m the only person to have ever said ‘hatband’ on a rattlesnake picture before. That’s the kind of wit you can’t buy in fancy stores in California.” he said of his ingenuity. When asked if he would do it again, Davis advised not to overdo it, and mix it up. Top suggestions for next time include comments relating to “good eatin” and various shotgun references. Is this green snake a real thing? 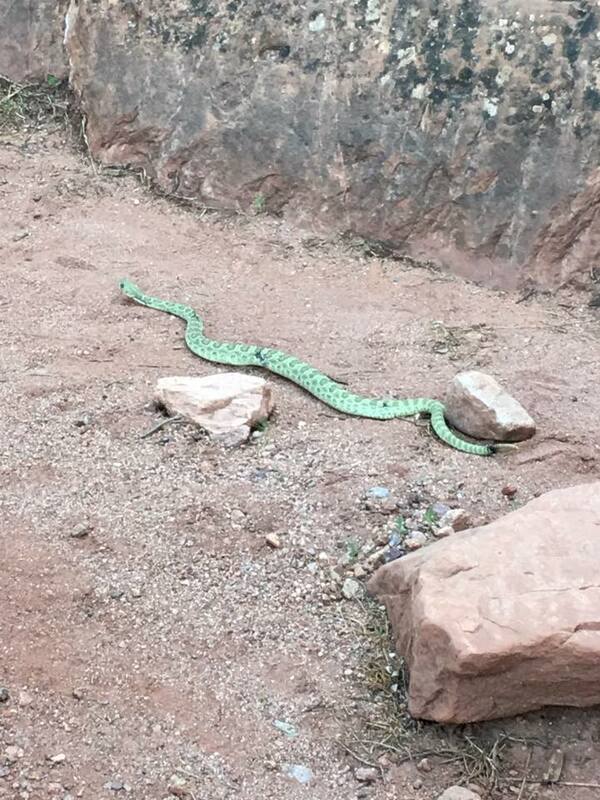 These show a bright, neon green rattlesnake, reported to be from Colorado. 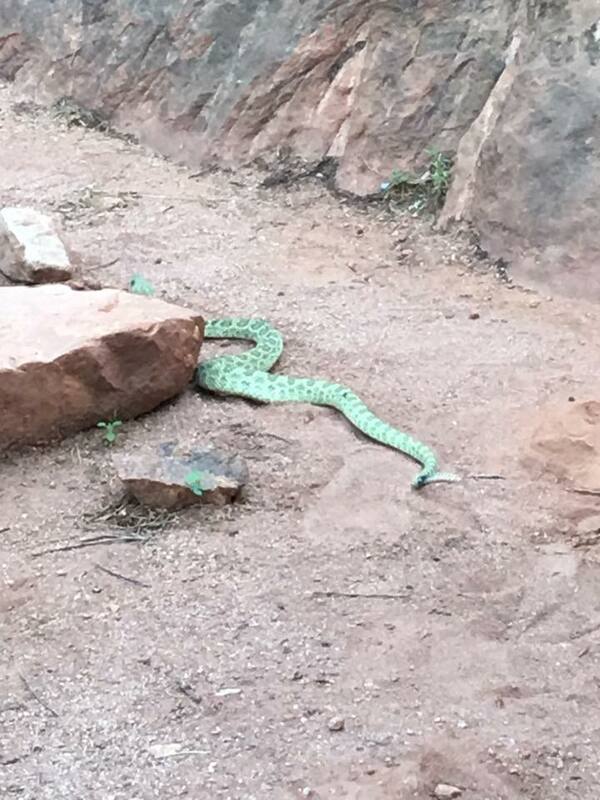 The bright green coloration has caused these photos to spread all over Facebook as a sighting of the much dreaded Mojave Green rattlesnake, which has mysterious super powers of chasing after people and attacking for no reason (not really). It’s not a Mojave Rattlesnake. This photograph is not a Mojave, which does not live in Colorado. It is a Prairie Rattlesnake. As covered elsewhere, Mojave Rattlesnakes may be green, but are also tan, brown, and everything in between. 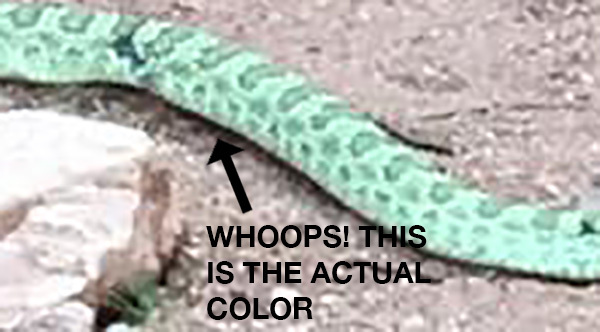 Green coloration is not an indication of Mojave anything … in fact, other species are often much more likely to be green, like the Blacktailed Rattlesnake (also often misidentified as a Mojave) and Prairie Rattlesnake, as in this case. Is the color real? Sorry to disappoint, but you probably already know the answer. No, this photograph is doctored and enhanced. There are very green rattlesnakes out there, even Prairie Rattlesnakes that come close to this hue, though this particular neon glow is fake. It’s fake everyone. We can go home now. 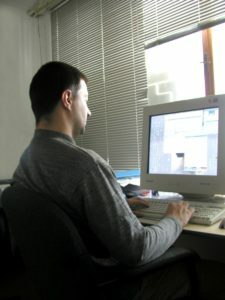 Other areas along the edge of the body were also missed. Based on that sample of color, here’s an approximation of the color of the snake … a much more reasonable color for a Prairie Rattlesnake. If you still have doubts, please contact us. 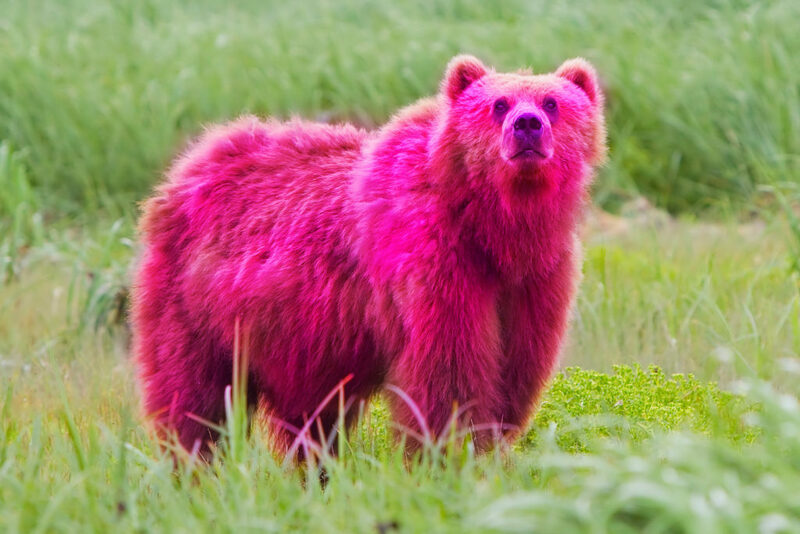 I have a bright pink Grizzly Bear available for sale. Should you use a pressure bandage for a rattlesnake bite? According to authorities on toxinology, no. A lot of information out there about what to do if you’re bitten by a rattlesnake is vague on the topic. Most these days will correctly advise not to use a tourniquet, but are less clear when it comes to compression or an attempt to slow the progress of venom throughout the body. The issue here is complicated. A properly applied compression bandage may slow body-wide symptoms, but the key word here is ‘properly’. Studies have shown that this isn’t often the case, and trapping venom that destroys tissue in one area can be much more dangerous overall. Some information out there is also not clear which continent it refers to. Bitten by a Black Mamba? This information isn’t for you … a neurotoxic bite that isn’t actively turning tissue to dead goo has different rules. If you’re in the United States, you’re most likely wondering about bites by our species of vipers (rattlesnakes, cottonmouths, copperheads), so don’t get confused by an article out of Australia or the Middle East. 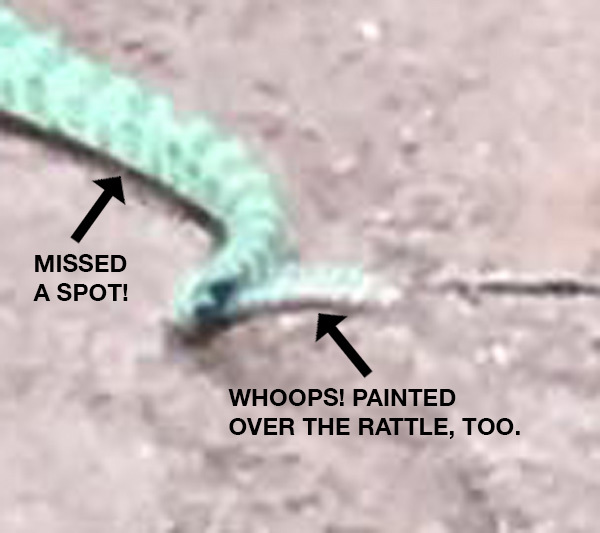 It may not sit well with many that there really is no first-aid for rattlesnake bites, but really, just focus on getting help. It’s 119F outside. 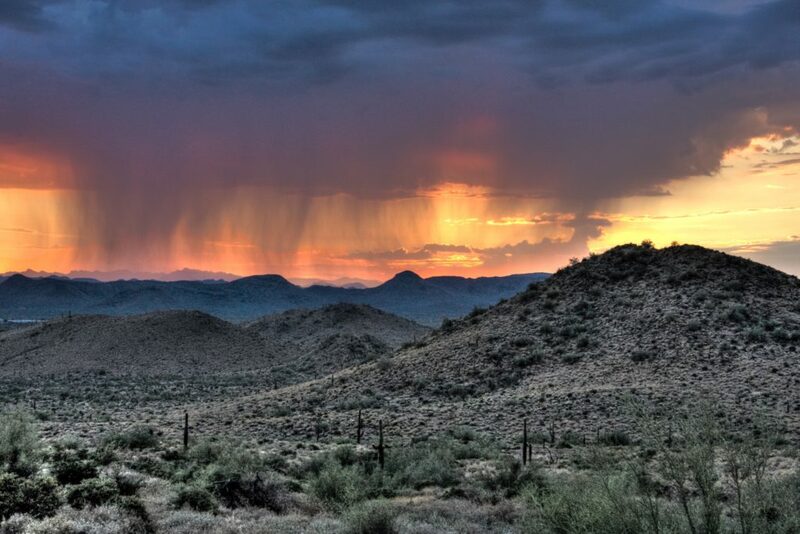 Where are the rattlesnakes? Is this green snake a real thing?